Like the new Jabba’s Palace set I posted about a couple of days ago, this set is not yet available in the US, but came out in Japan a few days ago. Since I happen to be in Japan, I decided to splurge and get them even though it would be somewhat more expensive than just waiting to get them at home in a few weeks. 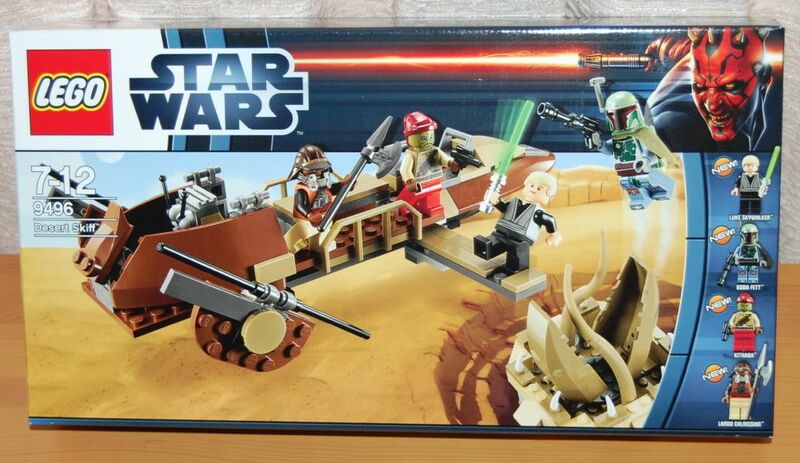 This is the third skiff that LEGO has put out, the other two being the Desert Skiff set that came out on its own in the year 2000, and the one that came with Jabba’s Sail Barge. Since I’m in Japan at the moment, I don’t have access to my other two skiffs, but it seems pretty obvious that this one is quite a bit bigger than either of them. There isn’t a lot to the skiff itself. It has a folding gangplank and a control section. The section in the middle also opens up for secret storage of weapons. 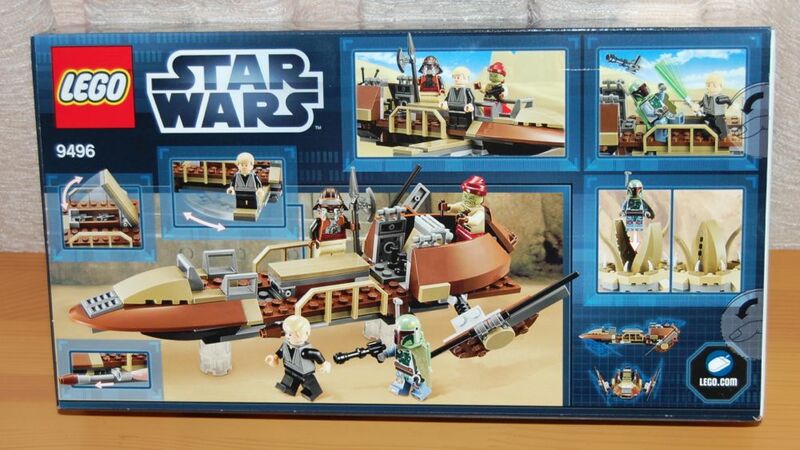 The set comes with four minifigures: Boba Fett, Luke, Lando and Kithaba, all of which are “new” versions. Of course, the only truly new figure is Kithaba, because there’s never been a figure of that character. But the others have been a bit tweaked. Boba Fett in particular seems to be a lot more detailed, with a cape and antenna and more detailed printing. Overall, it’s a pretty nice set, but not as big of a difference as with the new Jabba’s Palace set.